Do you have what it takes to help your island nation prosper? 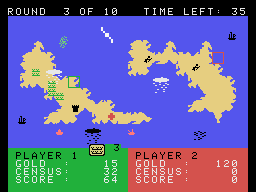 In this real-time resource management simulation, each player controls an island and must help it grow by spending gold bars to create farmland, to build facilities (like houses, forts, factories, hospitals and schools) and new boats (to catch fish or patrol the ocean), or to finance rebel movements on the other player's island. Keep your island people happy by generating income and increasing general prosperity, or face possibilities of rebellion on your own island. Climate elements (rain, hurricanes, etc.) can either help you or ravage your crops and facilities. As the clock ticks down during each turn, you must maximize your return on investment by making wise decisions. The player with the most accumulated points at the end of the last turn wins the game. 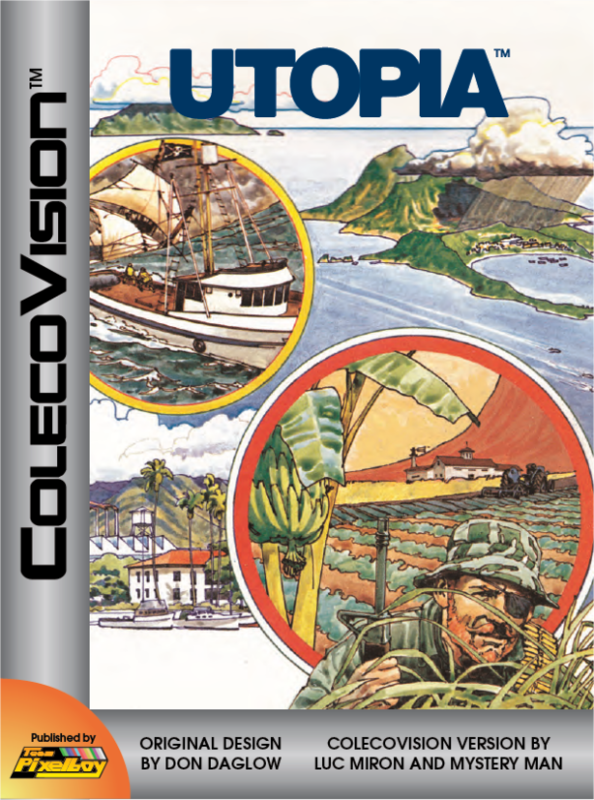 A one-player-versus-CPU mode may be included into this ColecoVision edition, which the original Intellivision game doesn't really have, but it's not a sure thing yet. But the game will definately come with controller overlays, that much is certain! Programming of this game is being handled by Mystery Man. 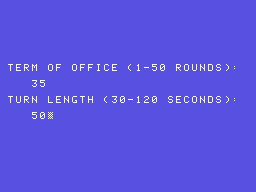 Software Software is 60% done. Box Box template is ready to be printed. Cartridge Label No work done so far. Controller Overlay Overlays have been printed.